Many companies promise the best tree care service in the Spruce area, but only a few can stand by their words. Spruce Tree Service is the company that you are looking for if you want tree care that is reliable and trustworthy. We offer world-class service that is guaranteed to meet all your expectations from a tree company. Our company has been in the tree industry for many decades, and we are proud to say that we have gained the trust and loyalty of our valued customers through our skills and professionalism. We offer a full range of tree care services for both our residential and commercial clients. We continue to receive positive feedback from our satisfied clients, and we strive to keep them coming as we develop our skills and techniques in tree care. When it comes to tree care, we are the tree authority that West Jordan homeowners trust. From the smallest to the most comprehensive detail of tree care, we are sure to take care of them to provide you with the best tree care you deserve. We are dedicated to offering service that is always of high quality and great value so your trees can thrive and look their best. There is no tree care that we can’t do. From the primary tree trimming to the more complicated tree removal, we are ready to take on the project, and we promise the same excellent result. There is no need to look for different tree companies to cater to your individual tree needs. Spruce Tree Service is a full-service company that is equipped to handle every type of tree care, so you don’t have to look for other companies to help you with your unique tree requirement. We work with certified arborists who understand trees more than anyone else. We know how to take care of your trees and your landscape in general. We keep ourselves in the know on the latest trends and techniques used in the tree industry so we can keep up with the fast-paced evolution of technology and deliver the kind of service that is of high-quality. We always put your safety on top of our list that is why we are complete with insurance and licensing documentation to protect you from any financial or legal liability in case an accident happens while we work in your property. Also, you need to be aware that most homeowners insurance provider can deny your damage claims if they learn that you failed to provide proper maintenance to your tree which led for the damage. With Spruce Tree Service, you can have the peace of mind that you and your property are protected. they use. Look for a company that invests in maintenance for their equipment because this also shows their professionalism. Consider how they take care of the tools they use for the job because that speaks volume on how they will treat your trees. We don’t only give our service to our residential clients. We also deliver our excellent service to commercial property owners. Whatever the type of property you own, you can be confident that we will pour the same passion and expertise to finish the job. From the standard service of tree trimming down to the more complicated land clearing, our team of experts will help you with your tree care needs. We can offer you free written estimates to help you compare our service and pricing with other tree companies you consider for the job. It is very rare to find a company that provides excellent tree and customer service for an affordable price. Call us for every tree care you may need. Trees are essential in our environment. However, no matter how much we want to keep them in our yards, there are moments when they have to be removed for some pertinent reasons. A tree that is dying or decaying or damaged by snow or storm should be removed as soon as possible. Trees that are a threat to your safety should be eliminated, especially if they are near your roof or any power lines. If you have a tree in your yard that needs to be removed, be confident that we can handle it for you. Our experience in the field of tree removal is hard to top. We continuously develop our techniques so we can make sure we finish the job well. Our certified arborists are highly-skilled in removing all types of trees, regardless of the circumstances. In our decades of service, we have seen every type of tree in the local area and encountered every tree situation possible. You can be assured that your tree will be removed in your yard in no time and no damage will be incurred. We carefully outline a plan before we take your tree down. Not all trees are the same, so it may require a different method to remove each one. We need to consider a tree’s species, age, location, and other structures around the site. When every detail has been considered, and we are sure with the equipment and method to use, we will begin the tree removal process. We will start with the large branches in the canopy of the tree and work our way down. While we are doing the tree removal, our ground crew will make sure that all debris and dirt are handled correctly. Depending on your request, we can haul the woods away or stack them anywhere in your property. If your tree needs to be removed, don’t hesitate to give us a call and we will come to your aid as fast as we can. Tree trimming can be considered one of the most underrated tree maintenance. Not all homeowners realize how important it is for the welfare and appearance of their landscape trees. Trees need to be trimmed if you want them to thrive well and keep its proportion. Trimming is a basic, yet a crucial technique to get rid of dead and damaged limbs and branches. If trees are regularly trimmed, they get more chances to live longer lives. On the other hand, trees that are never trimmed can easily be susceptible to damage and they can be a threat to your safety in the long run. Landscape trees are different with forest trees in a sense that they don’t need to compete with other trees for nutrients and sunlight that is why they can overgrow and hamper the growth of smaller plantings in your landscape. To prevent trees from overgrowing, they should be trimmed every 3 to 5 years. After tree removal, eliminating the stump usually follows. 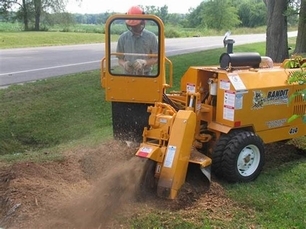 Stump grinding is what we recommend to our residential clients because it is less expensive and it leaves minimal damage to the surrounding area. Leaving a tree stump sitting in your yard can lead to insect infestation and tripping hazards. We can eliminate the sight of this stubborn stump with our premier stump grinder. Although the process of stump grinding can be dirty, we will make it seem effortless and seamless with our skills and state of the art equipment. Eliminate the possibility of accidents by letting us grind the stump 3 to 6 inches below the earth. You can also ask us to replant the area above the stump to restore its beauty. Further, stump removal is a more expensive method to rid stumps. It requires digging up the entire root system. This method is ideal for industrial developments where there is a need for foundation. 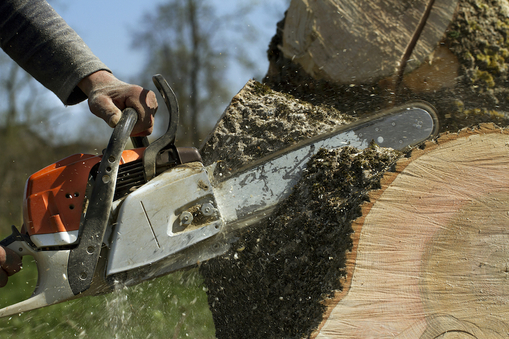 Stump removal is a large-scale job that needs to be done by a professional. An amateur simply cannot complete the job because of the heavy equipment involved, plus the overwhelming amount of dirt the process can cause. Dealing with storm tree damage can be overwhelming. Uprooted trees and fallen limbs and branches can disrupt your normal activities and paralyze your business. 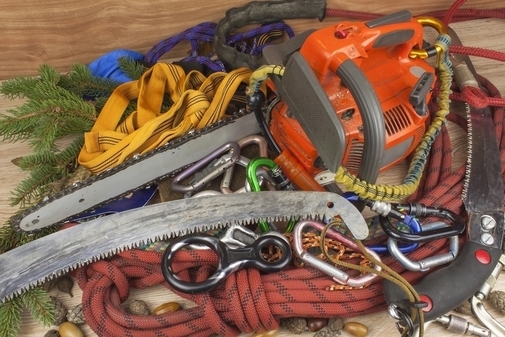 If you have tree emergencies like this, know that you have someone to turn to. Spruce Tree Service is always on the go when unexpected situations such as tree damage happen in the local area. We will help you restore the safety in your property by removing all hazardous debris. Don’t try to clear the area on your own, especially if there is a power line involved because it is too risky. Let us do the job because we specialize in this particular service. When you call us, we will make sure to come to your property as soon as possible to assist you with your emergency. We will not leave any evidence of tree damage once we are done with the job.